Okay. Here are all the football related photos from my trip to Miami. I got passes to be on the field before the game and we had crazy close seats, and my photos are still pretty bad. I know I don’t have a telephoto lens or anything, but it gives you some new found respect for sports photographers… although I always thought I would be good at that. I didn’t really shoot a lot, but there are a bunch of pictures of the practice facility tour and and the guest speakers. We had Brian Wiedmeier COO of the Dolphins, Jeff Ireland GM of the Dolphins, head coach Tony Sporano and former all pro guard Keith Sims. There are also some cheerleader photos in there if you don’t care about football. 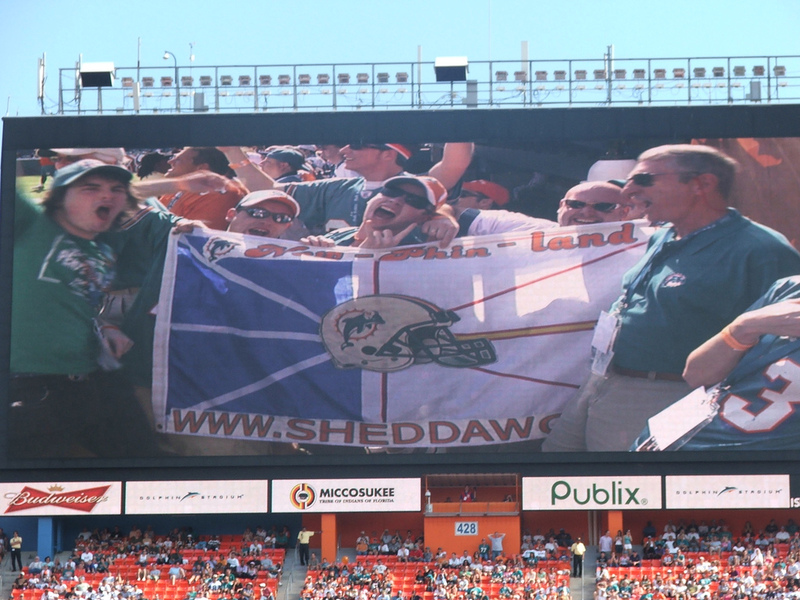 The trip was a blast and the Dolphins won a far too close game which came down to the wire. It was pretty fun and we got on the jumbotron a bunch of times. Totally exciting. Check out the pictures from the weekend here.